Fill out the form, to download this infographic. 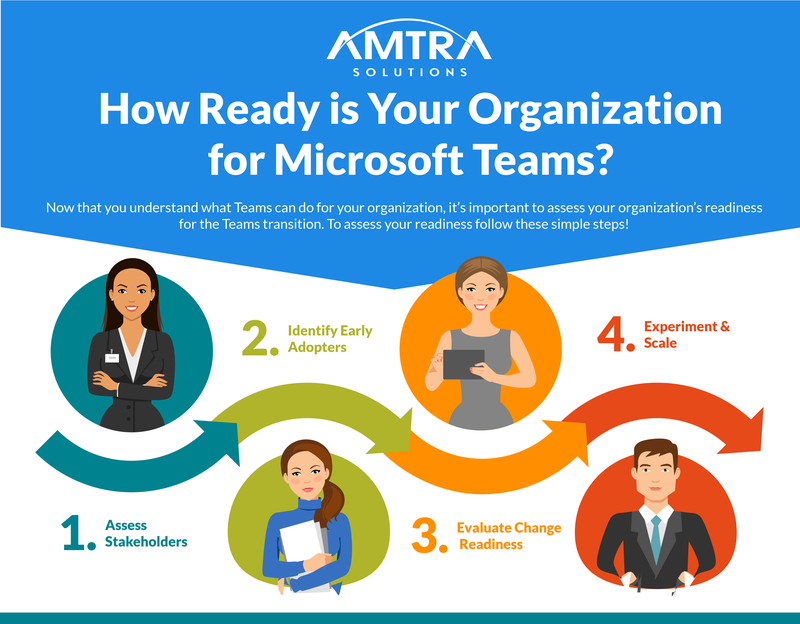 When looking to launch Microsoft Teams within your organization, our OCM team understands the importance of this initiative. Furthermore the stress of feeling confident about how to get started in a meaningful way often slows things down. Having seen this with a number of clients who have asked us to come in and help, we created this infographic just for you. Understand the structure organizations who follow OCM best practices use. Learn three simples steps for assessing your organizations readiness. Get useful tips and tricks for each step, plus information on how to think about experimenting with Teams and then rolling it out at scale.